Top Quality!! Competitive ex-factory price!!! Most of sizes and colors have in stock!! Hello, wellcome our rhinestone shop online. 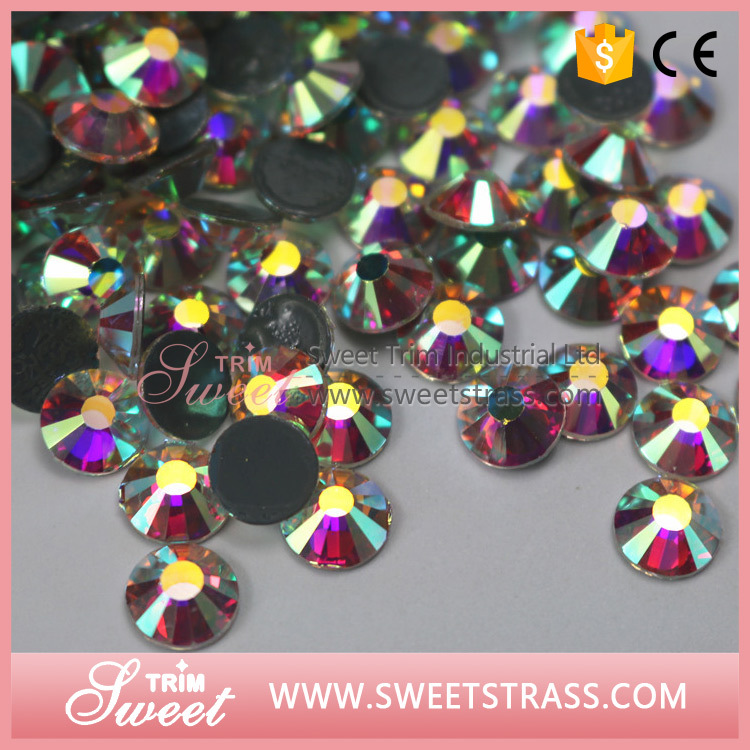 We wholesale different hot fix strass in various sizes, colors, shapes and quality grade. 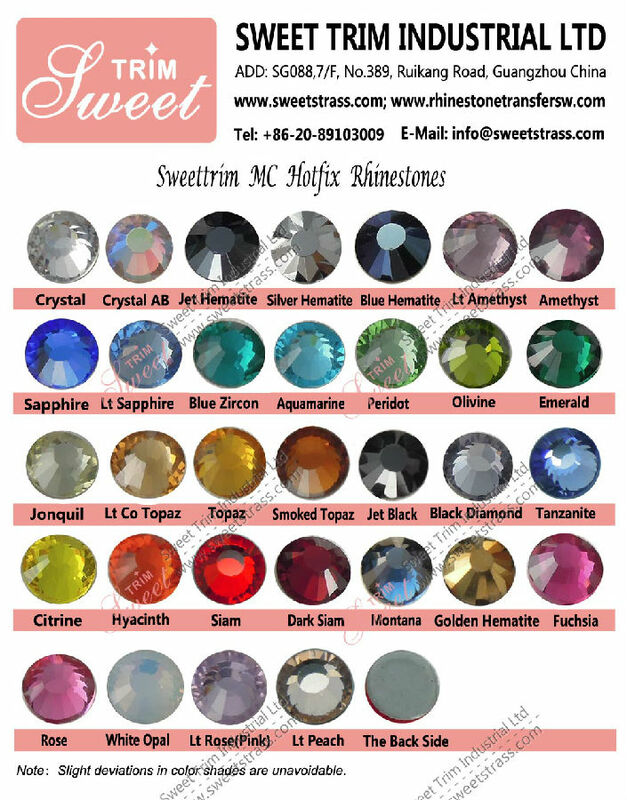 The MC hot fix rhinestone is the top quality in all stone we are selling. They have 12-14 cuts. and they are in direct competition with Sawarovski rhinestone. 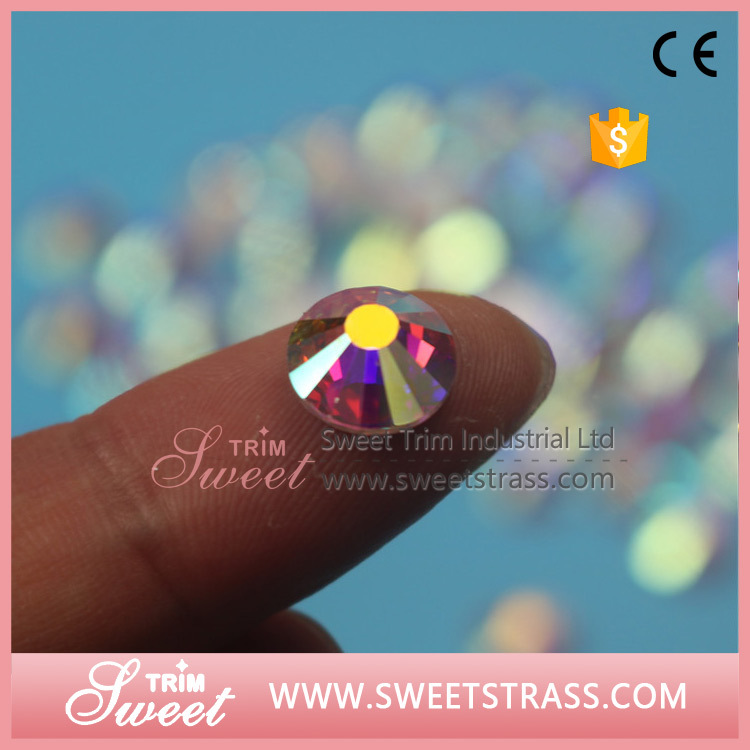 Just contact us to get the sample, you will witness these stone sparkled like real diamonds. In addition, as the headstream of supply chain, We'd like to appoint agents in diifferent area. we can help you save 30%-50% cost and win great price advantages in business competitions if you choose us to be your Business partner!!!! 1.Sizes: SS4, SS6, SS8, SS10, SS12, SS16, SS20, SS30, SS34, SS40.